When you're on the road, whether it's for a domestic or international trip, a good travel credit card can usually meet most of your payment needs. But inevitably, you will need cash at some point, too — for instance, when you want to tip skycaps, bellhops, and other service providers who don't take credit cards. In addition, many retailers in the developing world — and even advanced nations like Japan — still don't take credit cards. Finally, there are merchants at flea markets, farmer's markets, and traditional shopping areas where you can drive a harder bargain if you pay in cash. Credit cards are the worst way to access cash at home or abroad. To do so, you have to take out a cash advance. Most credit cards charge an extremely high interest rate — often over 25% APR — for cash advances, even if they offer a competitive rate for purchases. Furthermore, cash advances don't come with a grace period, so those interest charges begin accruing as soon as you make your transaction. Most credit cards also impose a cash advance fee of 5% or $10, whichever is greater. On top of that, you may be charged a foreign transaction fee as well as an ATM fee. If you're thinking it still might be worth taking out a cash advance to earn rewards through your credit card, you should know that cash advances don't earn rewards. Even if they did, the fees would far outweigh the value of any rewards anyway. The key to accessing cash at home or while traveling is to have a debit card linked to your bank account. These cards will never impose interest charges or cash advance fees, which can represent most of the costs associated with using a credit card at an ATM. In addition, most credit cards issued by banks in the United States are part of global networks such as Pulse, Plus, and Interlink, which virtually assure compatibility with ATMs all over the world. Check with your bank about ATMs available in the area you'll be visiting, fees to use out of network ATMs, as well as currency exchange fees. You may want to consider opening an account with a bank that has better rates like fee-free ATM use. Some banks charge you a flat fee each time you use your debit card at an ATM that's outside of their network, and some ATM operators also charge a fee for using an out-of-network card (yes, that's two separate fees). In addition, most banks charge a 3% foreign transaction fee, and even if they don't, the card networks — Visa and MasterCard — charge 1% for purchases for withdrawals in a foreign currency. First, you should contact your bank before you travel to inform it what countries you will be visiting. This will prevent the bank from suspecting fraud and freezing your account. This is also a good time to ask what fees you can expect from your card — including out-of-network fees and foreign transaction fees. Finally, try to use an ATM from a major bank rather than a standalone machine, especially at an airport. The machines at the large banks are typically the ones used by locals and will likely have lower fees, while standalone machines in tourist areas will often have the highest fees. In addition, there can be more security when you are in the lobby of a bank as opposed to accessing cash from a small machine in a crowded area. 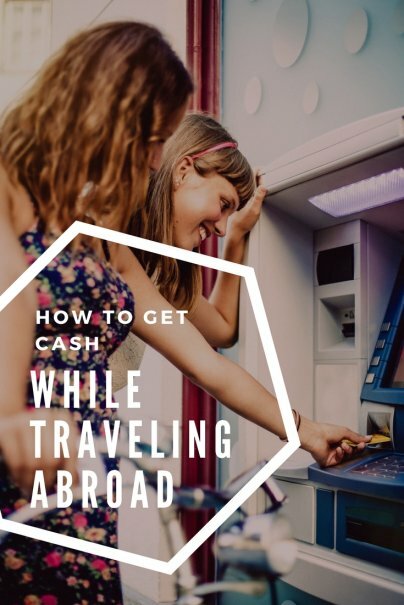 By using these tips to access cash, you should have the money you need wherever your travels take you, without paying unnecessary fees.